There are many methods to sample respiratory gases in order to measure exhaled carbon dioxide. Some are commercially available devices; others are innovative methods designed to achieve the ultimate goal of adequately sampling exhaled gases. 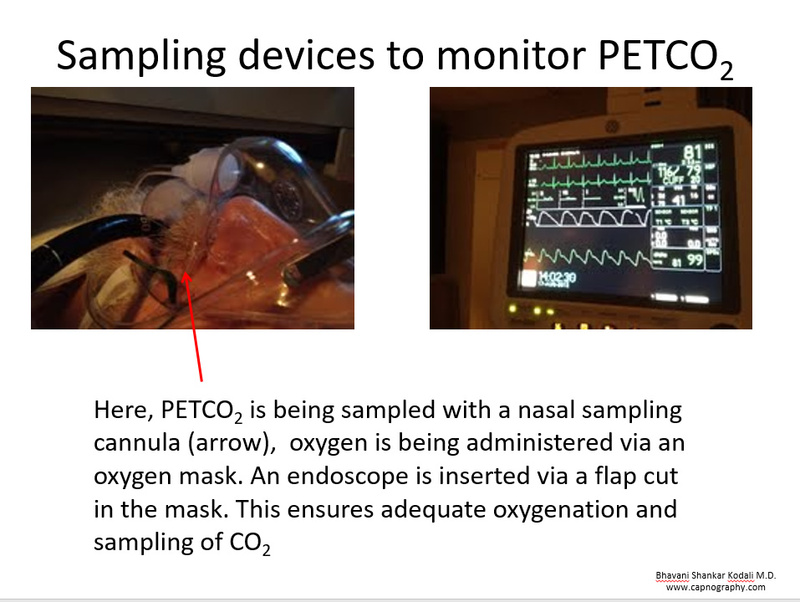 I use the nasal cannula to sample exhaled gases, by using a disposable nasal CO2 sampling device. A separate oxygen mask ensures oxygen flow and oxygenation during sedation. Using two separate devices for each of these accomplishments (CO2 monitoring and oxygenation) allows us to obtain near normal looking capnograms. For endoscopy, a hole made in the mask facilitates the insertion of the endoscope. 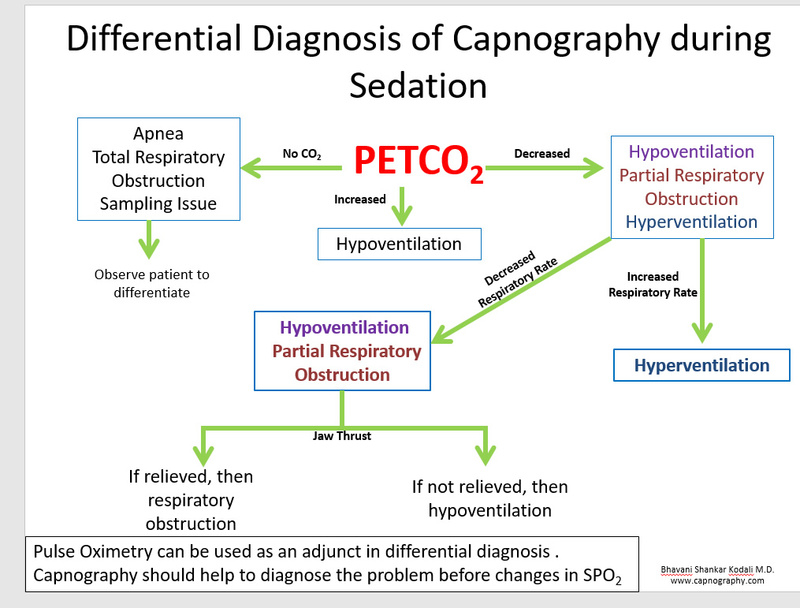 The oxygen component of the nasal cannula allows additional oxygen flow, particularly in patients with respiratory pathology. Picture shows nasal cannula with superimposed oxygen mask. 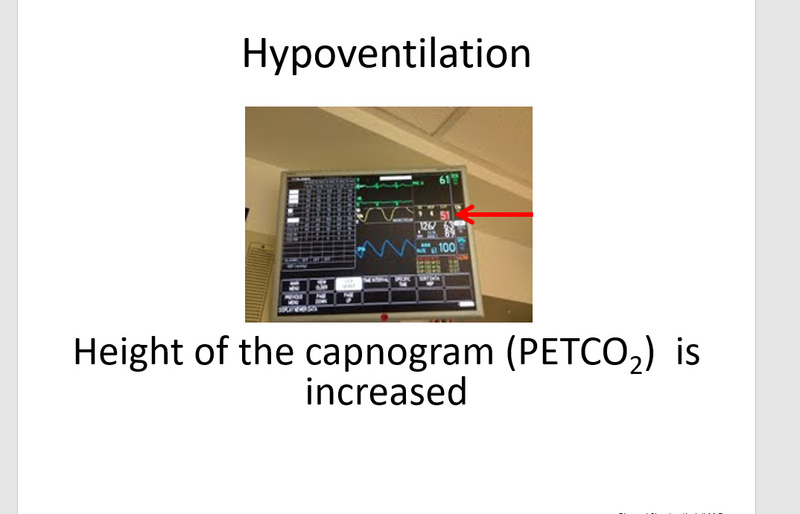 The monitor illustrates near normal looking capnograms during spontaneous ventilation.